There are many reasons why your Internet connection may not work properly. Your router could be misconfigured, for example. Or maybe your microwave often is interfering with your Wifi network. Or maybe your hamster ate one of the Ethernet cables, who knows? No matter the cause, we are here to help you figure out what went wrong and how to fix the problem. Let's start with the most obvious solution: restart your router! Simply unplug it for a minute or two, and then plug it back in. From our experience, 90% of the problems are fixed that way. Of course, if your Internet connection problems don't get solved this way, move on to the next step. Routers come in all sorts of configurations. And with so many manufacturers and models, it's complicated to ensure that all their settings are okay. Take the Maximum Transmission Unit (MTU) setting, for example. It needs to be aligned with your ISP's MTU setting; otherwise, things will not work properly. To fix this issue, you will have to contact your Internet service provider and ask the support person to tell you the recommended MTU value. We've mentioned wireless signal interference a few paragraphs above, and for a good reason: it happens in almost any home and office! Many wireless electronics share the same 2.4 GHz band with your router, causing serious problems, because your devices have to resend their requests over and over, until they get a decent enough response. Most people are able to get rid of these problems by switching to the 5 GHz band, which is much less crowded. Still, this change may introduce other problems, because (that's basic physics) signal strength decreases as frequency increases. In other words, by switching to 5 GHz you will get a faster wireless connection, but only if you are close enough to the router. As an alternative, you can try and make the Wifi signal stronger by using an external antenna cable adapter, which is connected to a high gain, directional 2.4 GHz antenna that points towards the problem area. Believe it or not, some of these antennas can extend the Wifi range of a regular network to several miles! What else could make your Internet speed decrease? Well, worms and viruses, of course! It may seem that your Internet connection is slow, but the cause may be a nasty piece of software that tries to take over your phone, tablet or computer. Fortunately, there are lots of online scanners like this, which can help you determine if your device is infected or not. Of course, sometimes things go wrong because a piece of hardware isn't behaving as it should. Manufacturers try to keep the prices of their hardware as low as possible, because the competition is very strong in the industry. 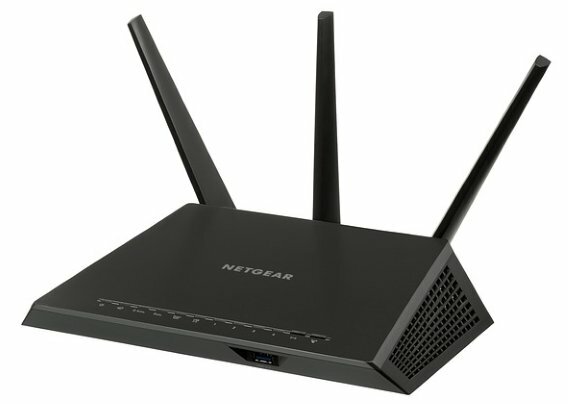 Chinese routers are really inexpensive, even though some of them may have problems. So, if things go wrong, try to borrow a router from one of your friends, install it, and see if this fixes the problem or not. And if you don't have any friends, stop crying and simply plug the Internet cable into your computer's LAN socket. You are probably going to need to manually configure a PPPoE connection, but things are easy if you've got the user and password combination from your ISP. By the way, always keep your Internet service provider's contact information at hand. Often times, they may change something on their end, and even go through technical issues that may make your Internet connection misbehave. It's best to give them a call if you've already restarted the router and things don't work as expected. Don't waste your time trying to troubleshoot the network before making sure that the problem you are experiencing isn't caused by your ISP.